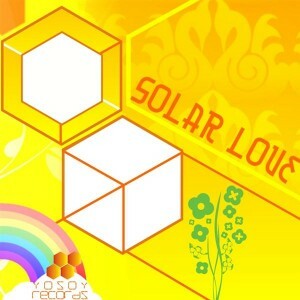 Yo Soy Records proudly presents Solar Love, our second compilation to feature artists from all over the world. The theme of this release is love in daylight psytrance; every song results from the artist exploring the depths of their hearts to delight us with melodic, uplifting full-on psytrance. Compiled by Mettanoia Godha, these songs will give light to a journey into the heart of the sun, filling your day with sonic colours and rainbow drops of sound that will make your body dance. Mastered by Alexander Alexandrov @ Sunday Light studios, Milan, Italy, with cover art by Mettanoia Godha. MP3 Download | FLAC Download | WAV Download · Download count: 14,312. Yo Soy Records became my favourite label on Ektoplazm! it’s just slightly above meh, to be honest. 3,5,6,9 tracks – the best! I’ve been listening to this release for a couple of months now and I have to say that it is perfect! It is a stellar compilation of music that just lifts the soul. Thank you to eveyone involved in putting this one together and sharing it with us.